Welcome to the Changeup - a brand-new poker tournament concept combining various forms you already know and enjoy. 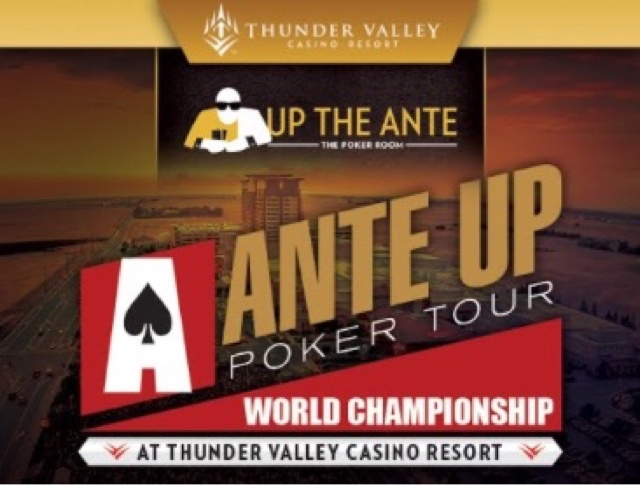 Start tonight's $160 tournament at 5pm just like any other 9-handed Hold'em event. Make the final 24 players and there's a redraw to four 6-handed tables. Play moves to a shootout format, where each of the four tables plays down to 1 person remaining. Those Final Four move to heads-up matches to determine the overall tournament winner. Who says poker is not fun anymore? See you tonight at 5pm. Start with 12,000 chips, play 20-minute levels for the 6 levels of registration. Move to 30-minute levels when registration closes at 7:15pm for the start of Level 7. 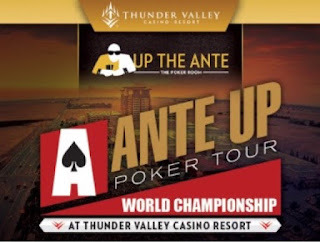 Check out the structure sheet for this and all Ante Up Worlds tournaments here.